Why pay full price? Call us or click above for a quick quote and save money on CIE Tours. For one week only, snap up one of the most sought-after tours at a very special 15% savings. Plus receive our AffordableTours.com 5% extra savings. 15% discount valid for new bookings on Ireland's Wild Atlantic Way tour made between noon, April 24 and midnight April 30, 2019, Eastern Standard Time. Excludes Military Tattoo departures. $500.00 per person non-refundable deposit required. Subject to availability, not combinable with any other CIE Tours offers/discounts and may be withdrawn at any time. Advertised price is per person, land only based on double occupancy and reflects the discount. Other conditions may apply. Whether you are planning on taking your children or grandchildren on a trip of their lifetime, CIE Tours will like to help you offset the cost of your family vacation. Youth travelers can save 10% on the land portion of any escorted vacation to Ireland, Scotland, England, Wales, Iceland or Taste of Italy. This offer applies to travelers between ages 8 - 17 and travelling with at least one full paying passenger 21 years or older in the same room. Plus as always receive our AffordableTours.com 5% extra savings. Save 10% off the land portion on escorted trips to Ireland, Scotland, England, Wales, Iceland or Taste of Italy. This offer applies to travelers between ages 8 - 17 and travelling with at least one full paying passenger 21 years or older. Offer valid on new bookings only, and based in double occupancy. Not valid for group travel and not combinable with other CIE Tours promotions or discounts. Does not apply to special family guided vacations. Other restrictions may apply. CIE Tours can offer you a trip of a lifetime on your next military leave. Whether you are in active service or a retired military personnel come join CIE Tours with an escorted package or independent vacation at a discount rate. Save 5% (up to $230 per person) on the land portion of any Ireland Independent Vacation or Ireland & Britain Escorted Coach Tour. Plus as always receive our AffordableTours.com 5% extra savings. This offer applies to travelers in the military with a valid military ID. Valid on new bookings only, and based in double occupancy. Not valid for group travel and not combinable with other CIE Tours promotions or discounts. Other restrictions may apply. The more the merrier! Save 5% on land portion of any Ireland or Britain Escorted Coach Tour when you book 5 - 9 people on the same tour. Plus as always receive our AffordableTours.com 5% extra savings. Book 5 - 9 people on the same tour and save 5% on the land portion of any Ireland or Britain Escorted Coach Tour. Offer is valid on new bookings only and is not combinable with any other promotional offer or discount, additional restrictions may apply. When you book 16 people on the same tour, the 16th person is free on the coach tour portion of your trip. Book 16 people on the same tour, the 16th person is free. Offer applies to new bookings only and is not combinable with other promotional offers or discounts. Additional restrictions may apply. Save 10% off the land portion of your trip when you purchase two coach tours. Plus as always receive our AffordableTours.com 5% extra savings. Offer applies to the land portion when you purchase two CIE coach tours. This discount applies to the tour of lesser value. Offers valid on new bookings only. Not valid for group travel, and not combinable with other CIE Tours promotions or discounts. Other restrictions may apply. As with most tours, a solo traveler will pay a single room supplement. However, on select departures, this supplement is reduced. Save an additional $50 on regularly scheduled departures for 2019. Plus receive our AffordableTours.com 5% extra savings. Offer valid on new bookings only. May not be combinable with any other promotional offer or discount. Applicable on select departures only. Please call for more information. Additional restrictions may apply. CIE Tours can offer you a trip of a lifetime on your next school break. Whether you are on a family vacation, travelling with your college roommates, or absorbing the history and culture for graduate studies, CIE Tours can provide you with an escorted package or independent self drive at a discount rate. 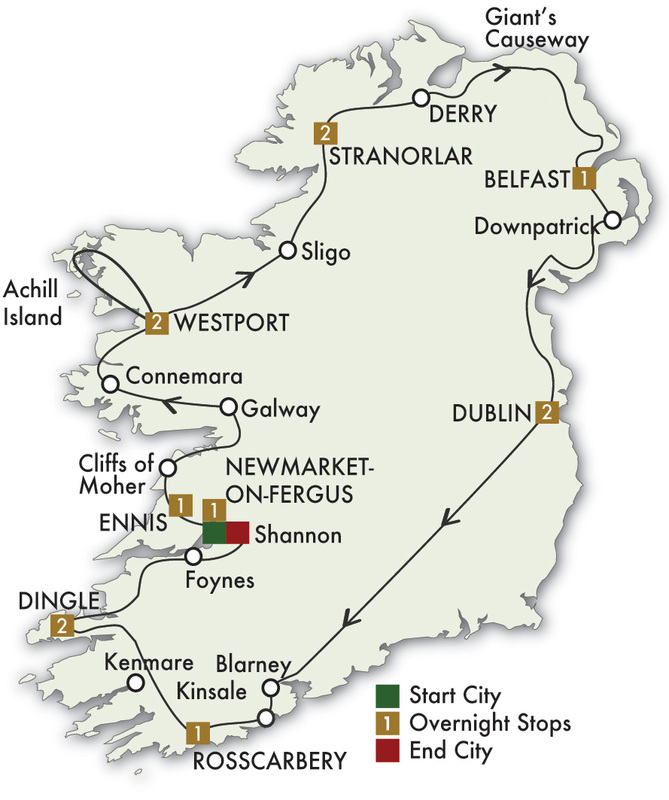 Save 5% (up to $230 per person) on the land portion of any Ireland & Britain Escorted Coach Tours. Plus as always receive our AffordableTours.com 5% extra savings. This offer applies to travellers between ages 18 – 25 years old with a valid student ID. Offer valid on new bookings only, and based in double occupancy. Applies to travellers between ages 18 – 25 years old with a valid student ID. Not valid for group travel, and not combinable with other CIE Tours promotions or discounts. Other restrictions may apply. Note: AffordableTours.com is a travel agent for CIE. All prices, itineraries, accommodations and dates are subject to change without notice and at any time by the tour operators. All prices are USD per person and based on double occupancy. Availability is limited and must be reconfirmed at time of booking. Please call us toll free at 1-800-935-2620 to confirm availability and current pricing on all our discounted specials. The prices on this website are not guaranteed until a deposit has been made. We are not responsible for errors, omissions, or changes in these prices until a booking has been confirmed by one of our agents. Some land prices may include an internal air component and discounts will not be offered on the internal air component. Discounts will not be offered on packages with a land price of less than $500.